•	Made in a velvet fabric that gives extra comfort. •	Velvet finish is used on all main wearing surfaces and is both durable and soft. •	Hardwood frame providing great support. •	Wooden feet add a traditional style to this piece of furniture. •	Quality fire-proofed dense foam and pocket springs ensure a very comfortable seat. • Made in hard-wearing polyester fabric. •	Fully compliant with UK fire regulations. 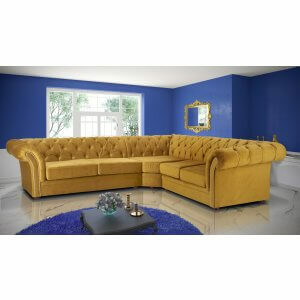 •	Manufactured in the latest fashionable soft brushed velvet style polyester durable fabric. 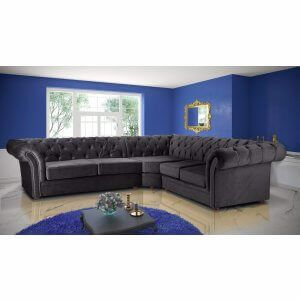 •	Fully upholstered in fashionable soft brushed velvet style fabric, which provides extra comfort. •	Hardwood frame providing great support. •	Wooden feet add a traditional style to this piece of furniture. •	Quality fire-proofed dense foam and pocket springs ensure a very comfortable seat. •	Fully compliant with UK fire regulations. Last items in stock - delivery within a week.